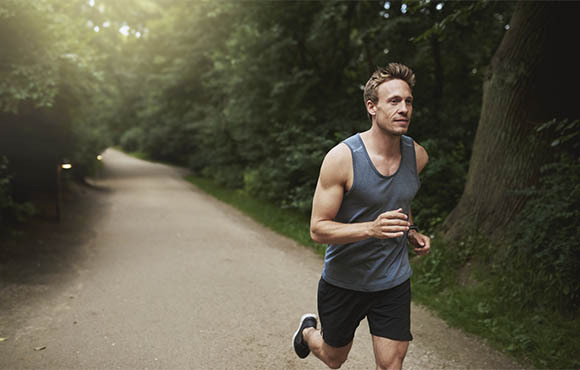 Is it Safe to Run Every Day? First thing, first: if you have the dedication to run every single day …you’ll be fine (eventually). With so much information available to us today, execution is what matters the most. Ideas are common, execution is rare. If you can run each and every single day, you are way ahead of the pack. Is It A Good Idea To Run Every Day? Running almost every day is a great idea! For a highly dedicated runner, six days a week is great. If you are an athlete, running 6 times a week is a good idea. Running every-single-day is excessive. Your body and joints need time to rest, even when you are a professional athlete. Let’s find a balance. It is 100% possible to over train and over exert your body. It can happen to anyone. Especially if you are a highly motivated person. I am competitive (if you’re reading this I’m sure you are as well). Over-training means that you are on the right track. But let’s not go over-board though. These are common signs and symptoms that you are working out too much! Do not ignore these tell-tale signs. Overtraining will not only leave you sick, it will ruin your progress on the road. How Can We Find A Balance? Listen to your body. It can take some time to figure out the proper balance. A good rule to live by though is have one rest day per week. One rest day gives your muscles and joints the time they need to recover. On a rest day however, you could have what’s called an ‘’active rest day’’. Let me explain. An active rest day is when you perform and activity like stretching or walking. This is technically speaking still exercise; however you’re not out pounding the pavement. If you’re body is feeling good and you want to work out on your off day…go for a walk! Walking is running’s best friend. Walking is one of the biggest steps anyone can take toward a better life. It is literally the most underrated form of exercise there is. If walking is too much, stretch a little bit (if you must). What Could You Do On A Rest Day? Let me be clear: rest days are a great thing. Rest days are something that you earn and deserve. Don’t let anyone tell you otherwise. It’s vital for your body to recover. Drink lots of water on your rest day. You’ve been exercising so much and your body needs it. Another thing is to get regular deep tissue massages. As many as you can afford, they are a major key for your health. If you’ve been spending time doing a lot of one particular thing such as running, you’ll have some muscular imbalances. Massage will help tremendously with this! Remember that running is a tool to empower yourself, to improve. Don’t run yourself into the ground while doing it. Be safe and be smart. Posted on June 2, 2018 June 2, 2018 Categories RunningTags competitive runner, hobby runner, recreational runner, runner, running every day, training for racesLeave a comment on Is it Safe to Run Every Day?